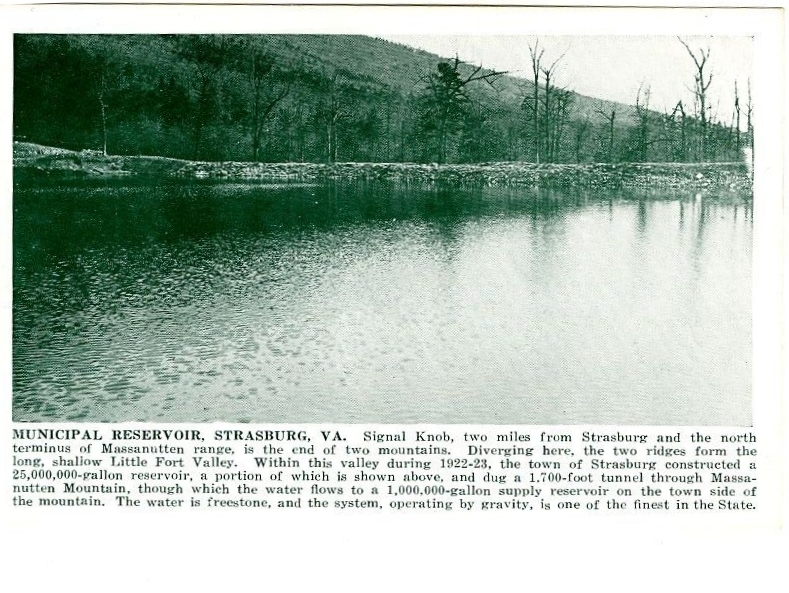 In 1923 the Town of Strasburg completed a new reservoir to supply the town with drinking water. The reservoir contained approximately 25 million gallons of water and was located in what is called “Little Fort Valley” atop the Massanutten Mountain east of the town. The most challenging part of this undertaking was connecting the mountain top reservoir to the town’s existing water system. To accomplish this, a 1700 foot tunnel was bored through Massanutten Mountain so water could flow from the new reservoir to the town’s old reservoir which dated to 1905. This tunnel was a major engineering project that required an extensive amount of resources to complete. Newspaper articles at the time note that when the tunnel opened, the town held a major celebration in which almost the entire community rejoiced using fireworks, sirens, bells, horns, and other entertaining noisemakers. During last decades of the 19th century and the first few decades of the 20th century towns across the country focused on major public works programs as part of a larger progressive moment designed to improve and modernize municipalities. Every town in Shenandoah County participated in this in some way and new roads, new reservoirs, new sewer systems, and new civic structures were built throughout the county. Reservoirs were especially popular since they provided drinking water, improved health, and enhanced fire protection. Most of the services provided by local government, including water and sewer, can be dated to this period. 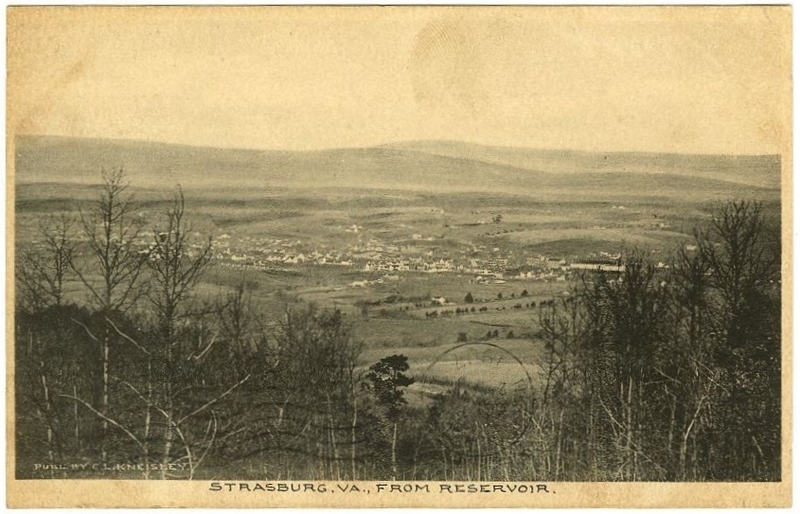 Shenandoah County Library, “Strasburg Reservoir,” Shenandoah Stories, accessed April 25, 2019, http://shenandoahstories.org/items/show/303.